You must make reservations at least 5 minutes in advance of the time at Farmstead Table. Metered lots are located at Beacon St., Cypress St., and Pleasant St. in Newton Centre. On-street parking is also available. 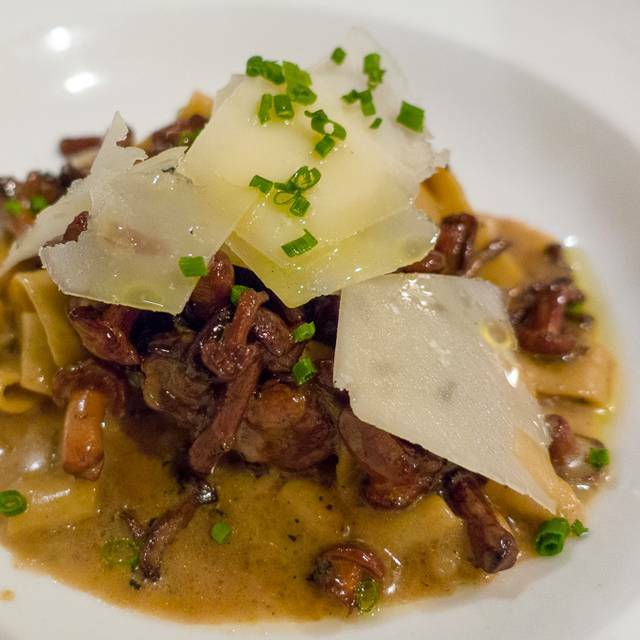 Opened in 2012, Farmstead Table blends French technique and new world innovation in a classic American country kitchen. 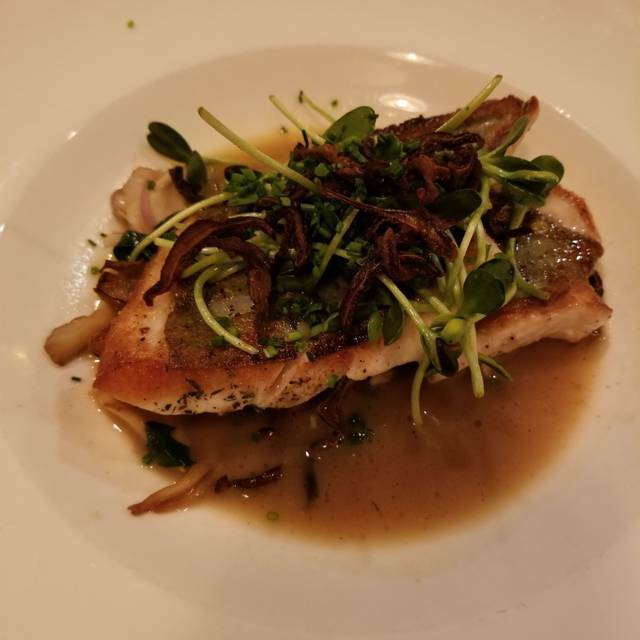 Inspired by local farmers, our culinary team believes that fresh and pure ingredients don’t need too much tinkering and can speak for themselves. 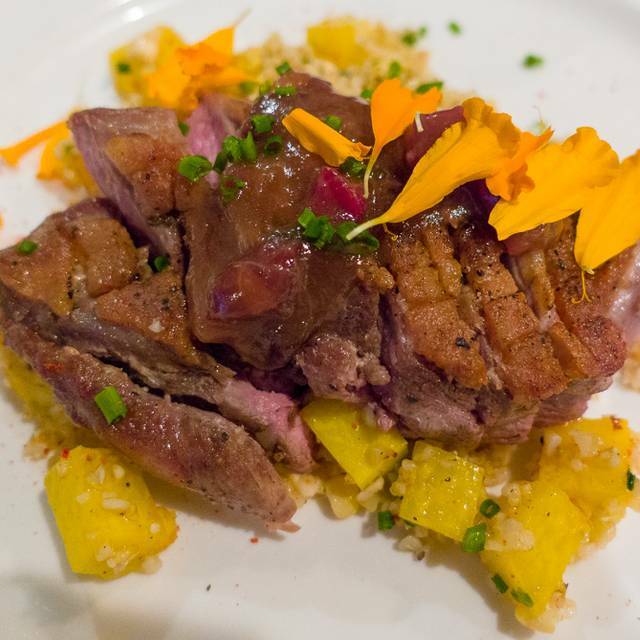 The innovative food is complemented by lively cocktails, domestic craft brews, and finely curated wines. A soothing design and intimate dining area provide a relaxed feel, while our staff delivers polished, yet approachable service. We are dedicated to being actively involved our community, contributing sustainable, responsibly sourced product and knowledge, and in doing so, establishing ourselves as a place for its members to gather. Food was excellent. 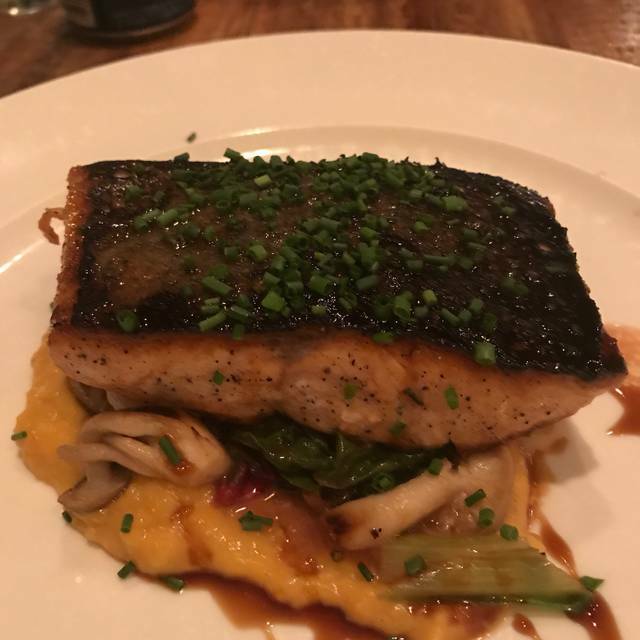 We had the fish special (fat piece of swordfish on a bed of yummy veggies and a cople of squashed little potatoes) and the arctic char and shared. My sister got the special, brother-in-law the steak and fries. Got the charred snow peas as an appetizer. Yummy. The dessert we split was just OK - apricot tart with apricot ice cream but not much apricot taste on some puff pastry. Not worth the calories. My drink I had to send back. A vodka martini with St. Germain. They had an elder flower stand in which was horrible. So I had wine. A nice little spot, not too loud. I would definitely recommend but they need St Germain at the bar! We eat here frequently, and the food is always good, the service very friendly and attentive. Tonight's meal was particularly excellent, both the cod and the chicken perfectly prepared. Rhubarb and apricot tart for dessert also very good. We wee extremely impressed. 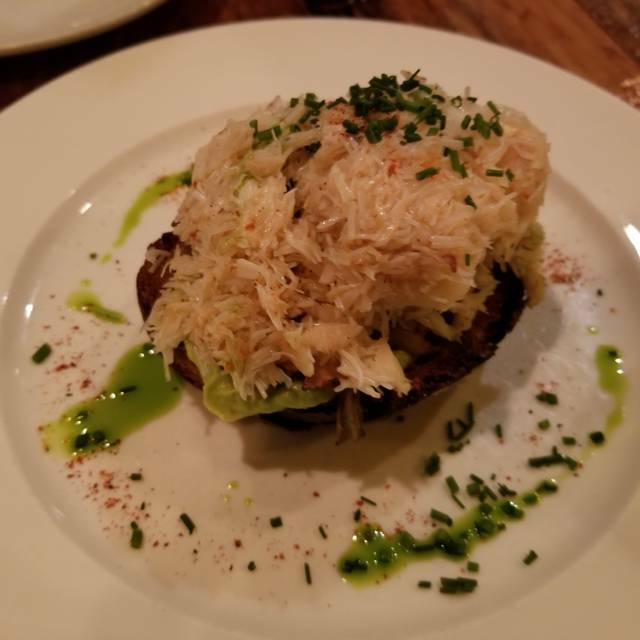 The food was not just delicious, it was exceptionally innovative, with a beautiful culinary sense of what goes together. John was an efficient and amusing waiter. Fantastic! First time but not the last! We had a very disappointing visit to Farmstead Table. The tables are close together which usually is fine. During our meal the hostess stood for at least 20 minutes between our table and another table talking to the patrons at the other table. Her back was to us and her back side was nearly touching our table. This was very uncomfortable and ruined our experience. Both the food and service were first rate. Enjoyed our dinner very much. This was a wonderful find on a Friday night with only a few hours notice. We had to settle for a 5:30 reservation but we were happy to get in based on how good other reviews were. 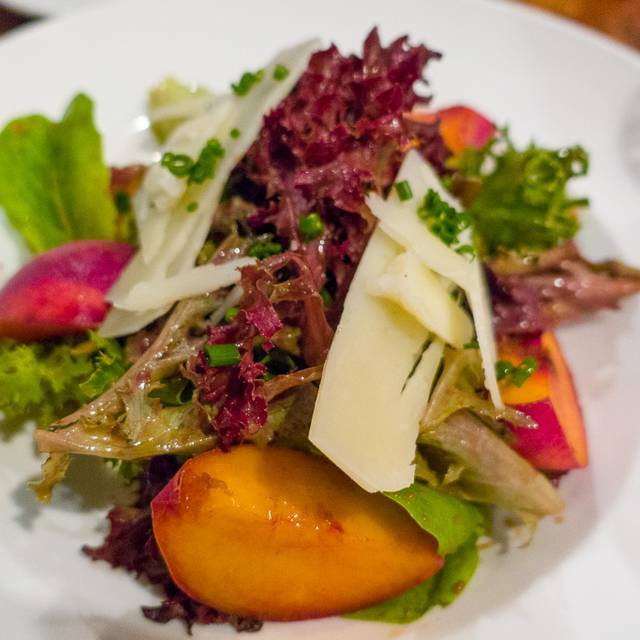 We love farm to table restaurants and we will definitely return here. The food was EXCELLENT. We will have to give ourselves more time to find parking. Our food was fine but pretty boring. I got the Farmstead Plate which sounds good - eggs with chives and potatoes. It was just eggs with hash browns on the side and bacon. It was $15 which was overpriced in my opinion. We also didn’t get the popovers or coffee we ordered until after our meals came and we had to ask again. The waiter seemed overwhelmed. I wanted to like it better but I don’t think we’ll be back. This was our second time going to eat here. First time was very good with no issues! Second time, my chicken came out not cooked and basically ruined my appetite. The staff was quick to try and fix the issue and offered dessert to go as we didn’t have time to wait. Not sure if we will be returning again. Everyone enjoyed their food, and the red wine selection was very good. The desert selected -- "Somemore" had a stiff top and the inside was cold. Didn't quite work. And we will definitely come again. Lovely meal! Best salmon burger I've ever had. Service was attentive and pleasant. A very pleasant experience. My friend and I had a wonderful dinner here on a Friday night. We came very early (5:15) since we had plans to go to an early movie afterwards. We split the fried cauliflower - unbelievably good! 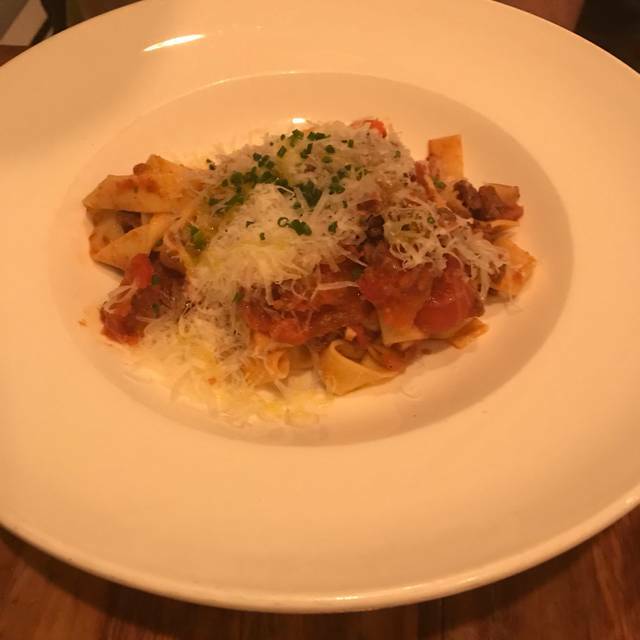 I had the rabbit tagliatelle which were just delicious. Followed by a sticky bun dessert - also very good, and not too sweet. The service was attentive without being intrusive and our food arrived in a reasonable amount of time. It's a charming space and not too loud (although it was not crowded given the early hour) which allowed us to have a good catch up conversation. I would definitely recommend this restaurant and hope to come again soon. Food and service were great! We took a long lunch and our waitperson was very patient, never felt rushed. This is a delightful restaurant in all respects! As always, my experience at Farmstead was awesome! The food was delicious and I plan to come as often as I can! It's especially great for special occasions as it's a little pricey, but I keep coming back anyway! Just moved to the area and saw good reviews for this place. Overall disappointed with the experience. Great food and service. Will definitely return for another wonderful gastric experience. Nice, homily atmosphere. Good quality food. Excellent service. Make a reservation, don’t walk in - wait time may be an hour. Good place to have brunch. Food was lovely! Server was friendly and helpful. We went early (5:30 pm) so had a quiet dining experience. It’s one of my go-to local places for a wonderful meal. It was great. Cute as button. Excellent service - extra kind. Drafty by the window! But quite delicious. We took my niece here for a special occasion brunch. She was wowed by the soup, salad and pop over and I by the vegetable grain bowl. The crispy brussel sprouts are to die for. All ingredients are so fresh and so tastefully and artistically prepared. It's a small place so it can get a bit noisy but you'll be lost in your food and conversation. 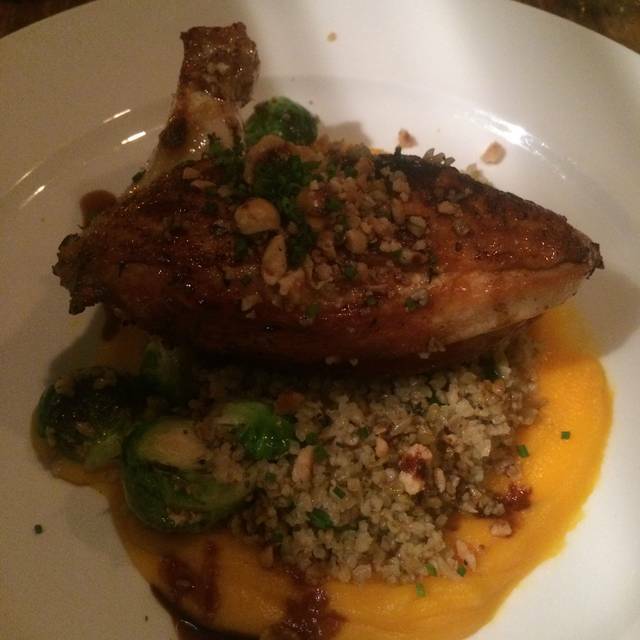 We have loved Farmstead Table, and gone often but were disappointed, for the first time. Our service was rushed and our main courses were brought to the table before we had finished our salads. And once again, the kitchen ran out of one of their greatest desserts. Simple, good and fresh food in pleasant setting. Especially good for vegetarians. The meal was very good. We were not rushed. May need to look for parking within a couple blocks. We parked across Beacon Street in the neighborhood. Service was excellent. The food was delicious and elegant, it’s always nice to eat clean & consciously. My Bibb salad w/ chicken was fresh & light but small....there were only 3 pistachios & 4 tiny orange sections. The soup & salad of the day w/ popover was a much heartier portion. Lovely energy and all tips go to charity. Wonderful menu with all local ingredients. I had the duck ragu and mushroom and my friend had the Cod special. All wonderful tastes along with an amazing basket of homemade popovers. Went for brunch with my boyfriend and found their ingredients to be super fresh and delicious. I ordered a grain and veggie bowl and my bf ordered the burger. Both were fantastic. We went for a belated Valentines dinner and loved it! Delicious food and wonderful service. Will definitely be going back! Fantastic food and service. Salad, entree, and dessert were all excellent. Our server was attentive and helpful. Great considerations for allergies (helpful key on menu). Perfect place for dinner for two. Begin with the popovers, which are fabulous. The soup that three of us had was very good. The main courses, roast half chicken and the special halibut, were outstanding. And the dessert was terrific as well. A lovely waitress. This place is a keeper! The menu, while interesting, had limiting choices. There were so many ingredients in each dish that I found it difficult to find something I really wanted, since some of the ingredients would not work, in my opinion. The food was fresh, and the wait staff was responsive and smiling. I had never been there for lunch, and think I will stick to the dinner menu going forward. Popovers are always a hit. Valentine’s Day dinner. Walked by this place many times and finally decided to try it. Short but intriguing cocktail list. Vegan friendly menu (not me). Enjoyed the beets and the baked white fish. Perfectly cooked on the inside with a nice crust on the outside. Cheese cake soufflé to finish. Attentive and responsive wait staff. We will be back! 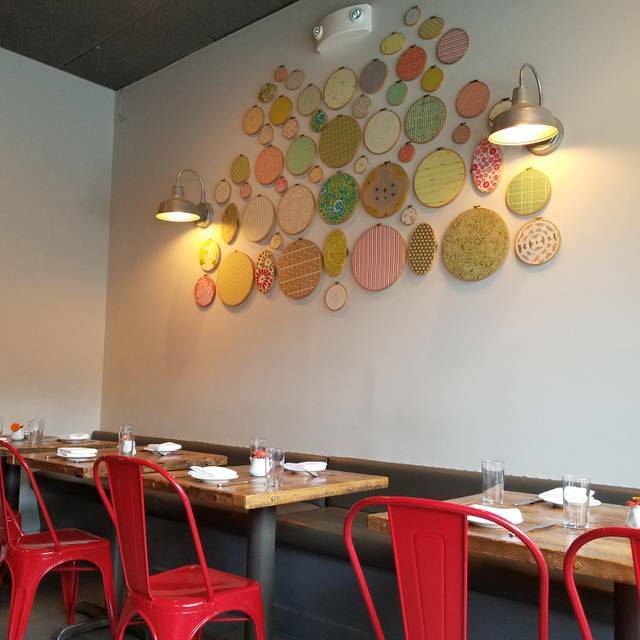 Farmstead Table is a neighborhood gem! The waitstaff are all warm and helpful; the food is creative and delicious; and the noise level is totally acceptable, allowing for conversation with one’s companions. The atmosphere is also warm and comfortable. This is one of my favorite places. This is my favorite spot in Newton for lunch. Fabulous farm-to-table fare; healthy choices with enough variety that everyone can find something, including a grain bowl, a fish of the day, and a burger. It's a cozy, casual environment on Union Street. The servers are very professional. On this particular day, the cafe was fairly empty (and quiet), probably because of an impending snowstorm. Generally it's quite crowded at lunch, so I recommend a reservation; and though it's not always that quiet, it's always a fine place to meet and talk - both business and personal. I was looking for somewhere my family could meet. We come from all over, Boston, Worcester, Nantucket, the Cape and Sturbridge. We thought it would be a good fit. We arrived early and we were sat immediately. We had only to wait a short time for everyone to arrive. the place was small but very nice, not too crowded. The menu had a lot of nice choices on it, being all in the restaurant business, we appreciate finding a nice place to gather together. Our waiter seemed a little overwhelmed but he was able to manage us pretty well. All the food choices were good, the Waygu burgers were especially good as according to the two that had them. quite the wine, drink and beer list as well. It was a good choice and will definitely go again. A good experience overall. Food was very good quality except the Shakshuka which was average. Service was pleasant, not very warm. Not ready to make it my first choice yet but it is certainly not the last choice either.